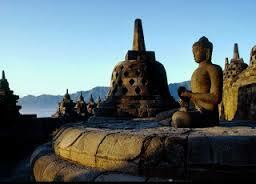 Yogyakarta Bromo Ijen Bali Tour Packages 5 Days 4 Nights. Planning a trip from Jogyakarta to Bali with a duration of 5 days 4 nights by visiting Mount Bromo Ijen Crater Blue Fire on the trips. Excursion started from yogyakarta bromo ijen ends at port banyuwangi or bali. Arrive in Yogyakarta airport to stay there few nights and see Borobodur temple,Prambanan temple and ends tour at port or direct to Bali via Bromo Ijen. Organise these trips to yogyakarta bromo ijen bali tour 5D4N no hard to find recommendations for tour operators that. But a lot of disappointing reviews when it comes to the tour operators by joining trip more other people or share a group tour. We just recommend a good with private trip. With private packages, the accommodation offered can vary at the same time can adjust if the accommodation offered is not in accordance with the wishes. And possible to caght a ferry to bali or direct to the desired destination in Bali. You need the private package yogya bromo ijen bali for 5 days 4 nights would be really great to get some help at the site surabayabromotour.com. On arrival in Yogya we will picking up and direct Borobudur tour include Mendut and Pawon temple.Check in hotel and free program. Around in the midnight (12 AM), Our driver will bring us to the paltuding post and then continue trekking to the slope of Mount Ijen, passing through plantations and rainforest. This is one of the few remaining on the Island of Java with giant ferns, plants & big trees, this journey takes approximately 1 hour from the hotel in Banyuwangi or 45 minutes from hotel in sempol Bondowoso by private car. Arrive at the parking area (Paltuding Post) of Mount Ijen, approximately 1 hour until 1.5 hours will be required to ascend slope of mount Ijen to reach peak of Ijen Crater and along the path, you will enjoy the stunning natural scenery with fresh air & shady. And enjoy best panorama of the ijen blue fire dan lake of sulphate and the sulfur mining workers go down into the crater and climb back up by passing dangerous path on the edge of Ijen Crater with the load as much as 80 kilograms on their shoulders. This is really a dangerous hard job. After enjoyed the natural scenery at Crater of mount Ijen tour and then descend the slope of Mount Ijen until vehicles parking area where our vehicle is waiting for transfer out to ketapang ferry port or bali.The adventure ended. Trip in Java started from yogyakarta (airport or train station or hotel) and then city tour yogya,visit prambanan temple,borobudur tour and proceed visiting bromo ijen tour and finished at port banyuwangi or bali with a Yogyakarta Bromo Ijen Bali Tour Package 5 Days 4 Nights.